We are not just a hotel; we offer a great experience that induces you to discover new stories. We are a space focused on relaxation, the connection with biodiversity and culture appreciation. 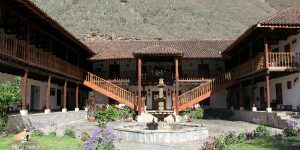 At Casa Hacienda Achamaqui we believe that everything has a history, and our commitment is to motivate you to discover it. 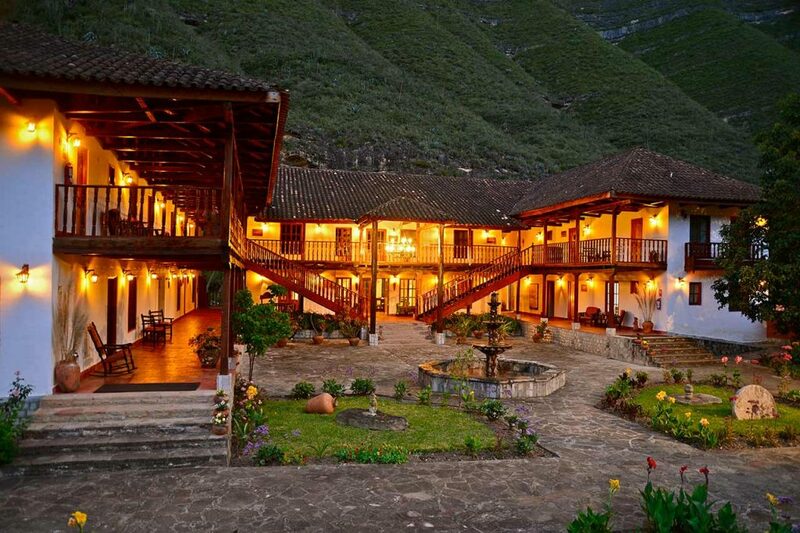 We have what it takes to make your experience in Chachapoyas unforgettable: excellent location, an area of 17 hectares you can explore, comfortable accommodations; and, most importantly, caring and personalized service oriented to give you a warm hospitality. 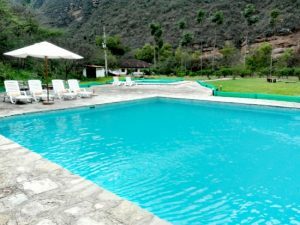 Our architecture has the style of the old hacienda houses in the upper jungle: wooden balconies, red tile roofs, spacious rooms and a classic stone pool. We also have two other sectors with a more contemporary style, but with a touch of rustic Achamaqui character. 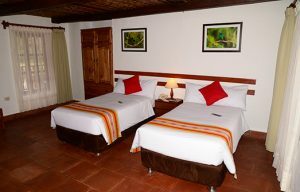 The hotel has 31 rooms distributed in 3 sectors and categories. There are standard rooms in the two floors of our villas, which are connected houses with common relaxation areas near one of the hills that surround the property. From there, you can have a panoramic view of the main house, gardens and custard apple crops. Also, they are very close to the pools. These rooms have a more contemporary design, while maintaining the essence of the place. They are on the first floor, outside the main house, near the pool area. 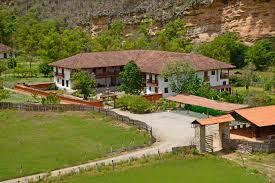 They also have views of our green areas and some of them have the view of Utcubamba River. They are located in the main house and they are distributed in two floors, all of the second level has picturesque balconies. 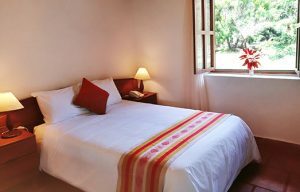 All rooms have stunning views of Utcubamba River or of the gardens surrounding the hotel.